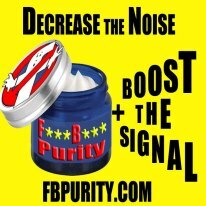 If you have any questions or problems with FB Purity, please read and follow the advice on the FB Purity FAQ (Frequently Asked Questions) page. FB Purity lets you block all Facebook ads, hide the junk and interface elements that you dont want to see, filter out posts in the newsfeed you are not interested in, and Customise Facebook to look how you want it to look. This entry was posted in Facebook, FB Purity and tagged block all facebook ads, block facebook ads, clean up facebook, customise facebook, Customize Facebook, Facebook, facebook ad blocker, Facebook Customization, facebook customization tool, facebook purity, facebook skins, facebook themes, FB, FB Purity, FB Purity Update, FBP, FBP Update, freeze top navbar, hide facebook ads, hide home link, lock top navbar, set a background image. Bookmark the permalink. Do you have one that runs on IPad? My friends in The Philippines have been unable to download it, is there some way I can get it to them? What exactly is their problem downloading it? That will help me (and other people in the same situation) more, rather than just putting a sticking plaster over it. BTW They are going to http://install.fbpurity.com then clicking the green “Install FB PuritY” button, right? Is there a way that I can hide the Like button for every post in my News Feed? I installed a background that I need to remove. How do I do that? As with all FB Purity options, you can change them via the FB Purity settings screen, which you can open by clicking the FB Purity (FBP) button at the top of your facebook page. Then in this case, the setting is under the “Font, Colors and Design” heading.